Do you feel like you’ll never be able to manage all of the papers, emails, and to-do’s coming into your life? 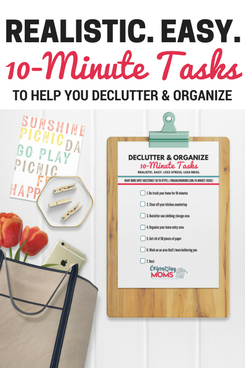 Do you have multiple piles of possibly important papers strewn all over you living space? Do you have trouble finding important documents? Do you routinely forget appointments, commitments, and important tasks? You are not alone. We take in way more information than we can handle each and every day. There’s no way our brains can handle all of the input. And while our brains swirling with all of the things we’re trying to remember, we still don’t know what in the world to do with all. the. papers. 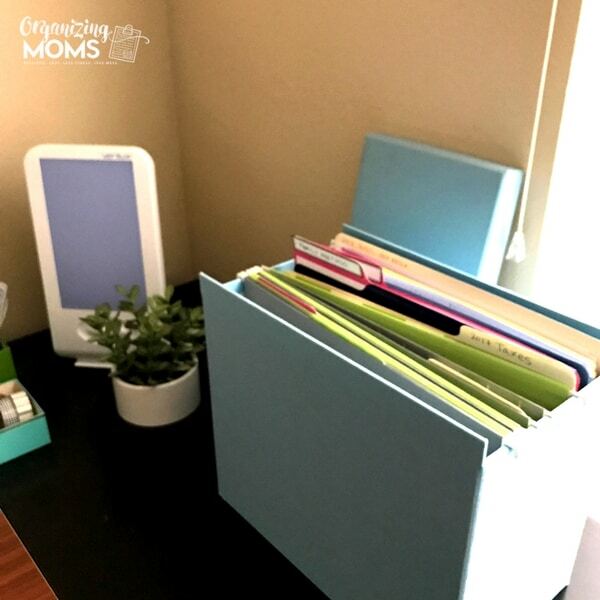 If you feel like you’re losing the fight when trying to tame the paper dragon in your life, creating a command central could be the solution you’re looking for. 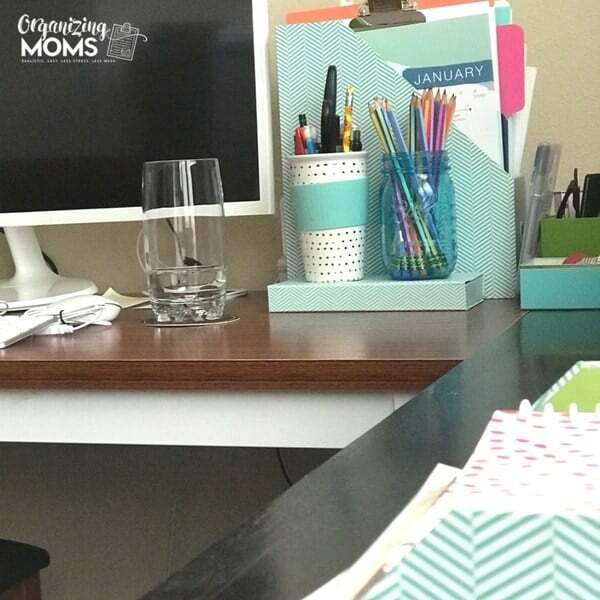 A well-maintained command central can help you manage all of the things you need to do – it’s like a logistics center for your life. How does a Command Central work? A command central will give you a designated space and system for dealing with all of your tasks, projects, and important information. Everyone’s life is different, so everyone’s command central will be different. 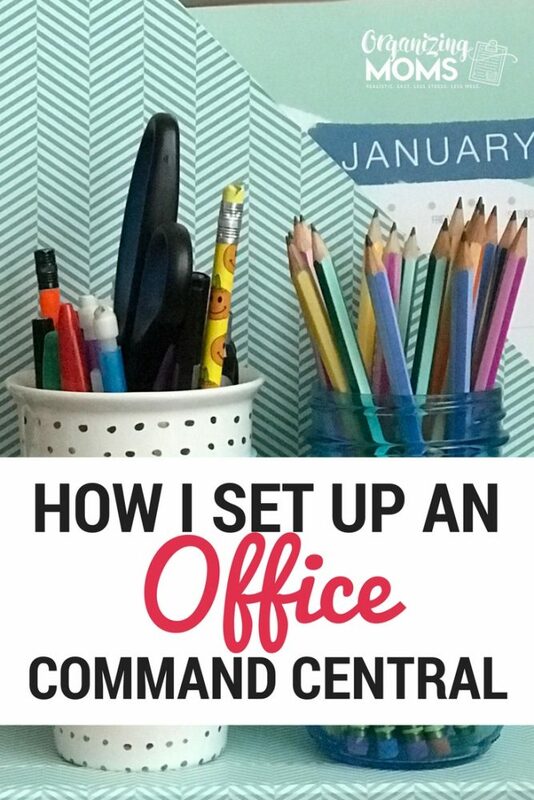 For today’s post, I’m going to show you how I set up my own command central to give you an idea of how it works. 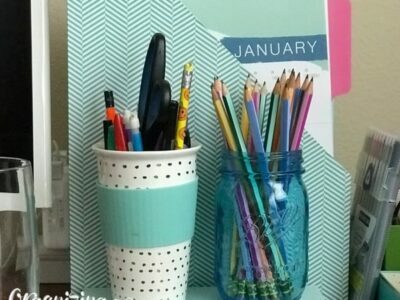 I use a combination of paper and digital tools to organize all of my stuff and keep myself on track. This is NOT for everyone, but it totally works for me. You have to use the tools and systems that will work for you. I’m showing you what I do as an example, but you will want to modify this system to suit your own needs. Before I get into the details of the command central, here’s a little back story. Years ago, I read this helpful series about David Allen’s Getting Things Done system written by Trent Hamm of The Simple Dollar. I was hooked on the idea of creating an “external brain” to help me manage all of the to-do’s, ideas, and responsibilities I had floating around in my head. I half-heartedly tried to implement the system, but I gave up on it. I was pregnant at the time, and frankly, I was exhausted. But, in the back of my mind I always wanted to implement the Getting Things Done system. Fast forward six years later, and I found an online course called Steps to Everyday Productivity. The course is designed to help people set up their own Getting Things Done systems, and it’s presented in a way that’s totally easy to understand. The course had videos. There were visual examples. And the teachers were really patient and kind (as a former teacher myself, this completely sold me). I took the Steps to Everyday Productivity course, and the result is my current Command Central as well as way more productivity in my life. Here’s my main work space. 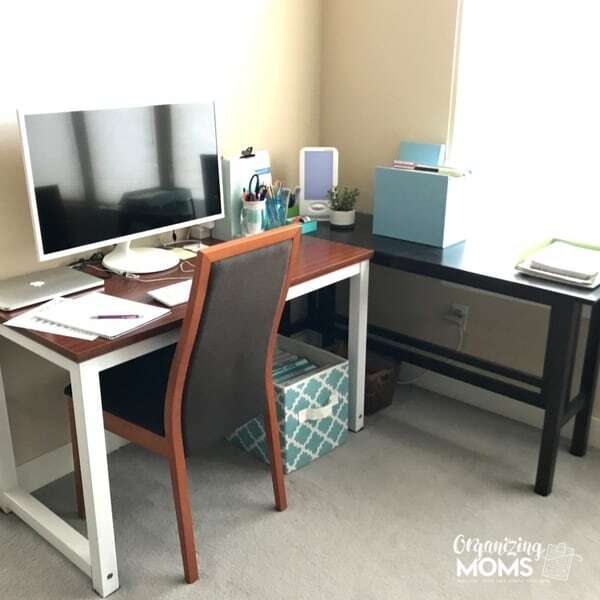 This is where I do a lot of my work for Organizing Moms, and it’s where I do my weekly reviews – the most important part of maintaining a command central system! 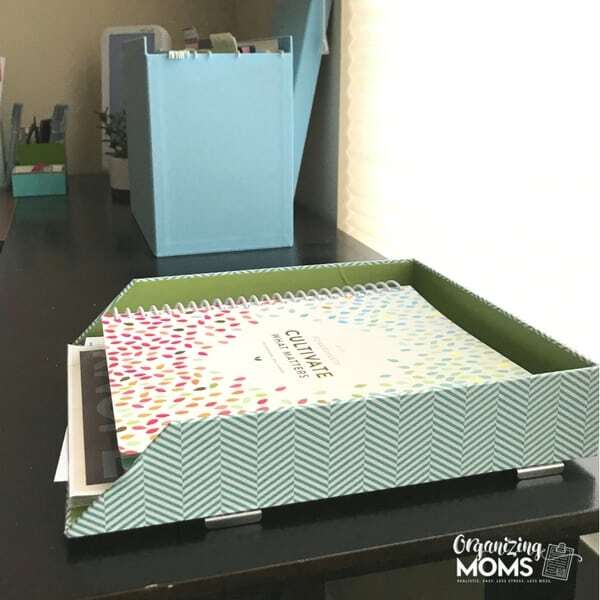 Waiting folder – if I’m waiting to hear back about something, I put a reminder in here. Tickler file – papers I might need for future events – tickets, invites, directions, etc. Here’s my inbox. 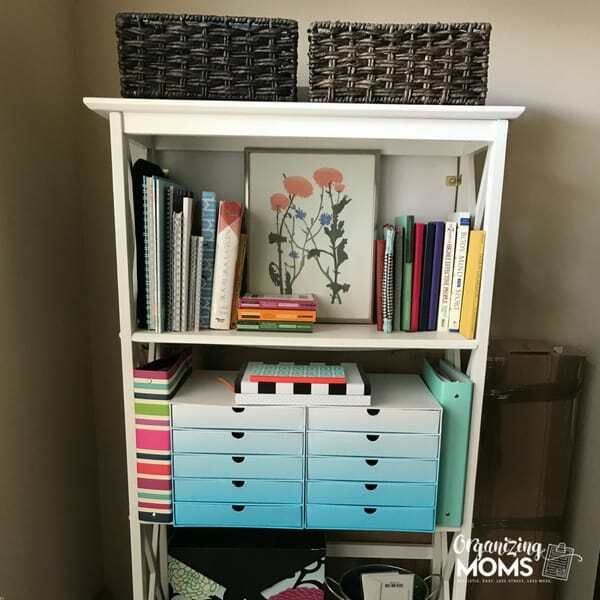 When I first started using this system, I had to use a huge cardboard box because I had SO MUCH STUFF to process. Even though this inbox is pretty full, I’m proud that it’s gotten down to a manageable level. 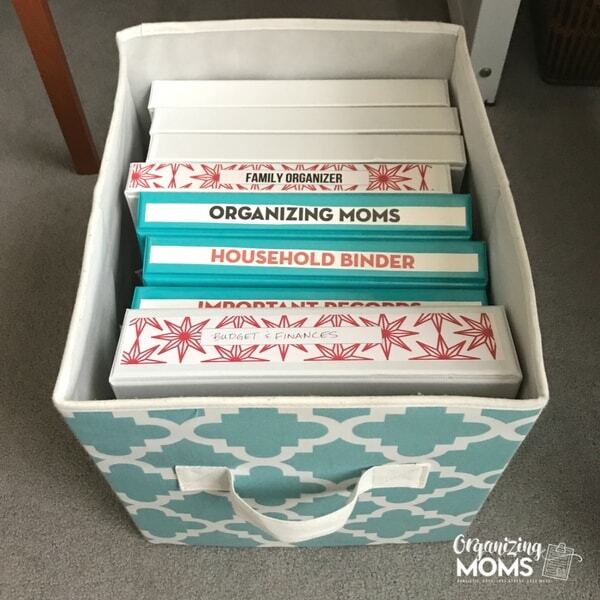 Years ago, I started organizing a lot of our papers with binders. That system still works pretty well for us, so I’m keeping it. I store my binders in this bin below my desk and pull them out as needed. I bought this magazine file to help hold materials I use for working on my blog. So, it’s kind of a big current projects folder, but it holds things I know I’ll need to reference on a frequent basis. 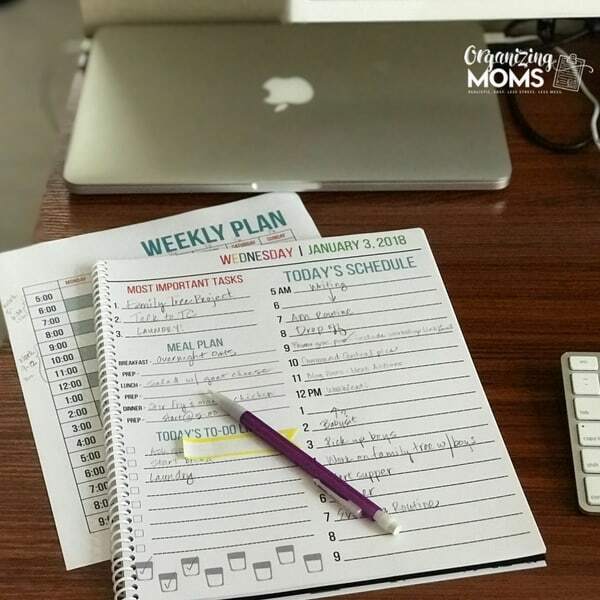 I use my Daily Planning Sheets and Weekly Plan sheets to keep me focused during the day. Without these, I’d be watching cat videos on Facebook all day long. This shelf is mostly for storage, but it holds some things I use weekly. One of my binders has my goals and routines in it. I check it as part of my weekly review so I don’t forget what I’m working towards, and I can chart my progress. I remember this binder when I’ve spent just a little bit too much time scrolling through my Facebook feed. My command central is definitely still evolving, but as I work at it, it gets better and easier to use. After I’m more sure about the placement of everything, I’d like to add some pretty decorations on the wall. Over the last few months, I’ve slowly started using more digital tools as part of my command central system. This has cut down on the number of things I need to keep in paper form, and it’s actually worked out pretty well. I was resistant to using digital tools at first, but now I can see that a hybrid between paper and digital works really well for me. 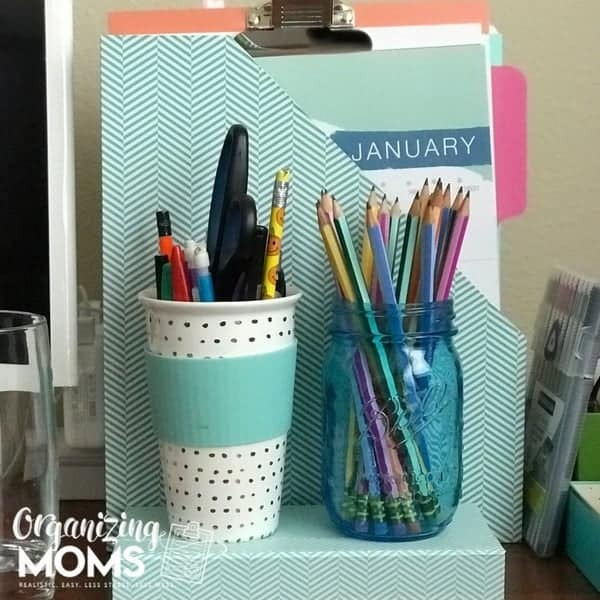 Steps to Everyday Productivity free webinars – These free webinars are FULL of awesome tips to help you get started with creating your own command central. The webinar does talk about the paid course they offer, but there’s tons of valuable information in the free webinars, even if you don’t purchase. Great for getting you in the right mindset for setting up your own command central system!